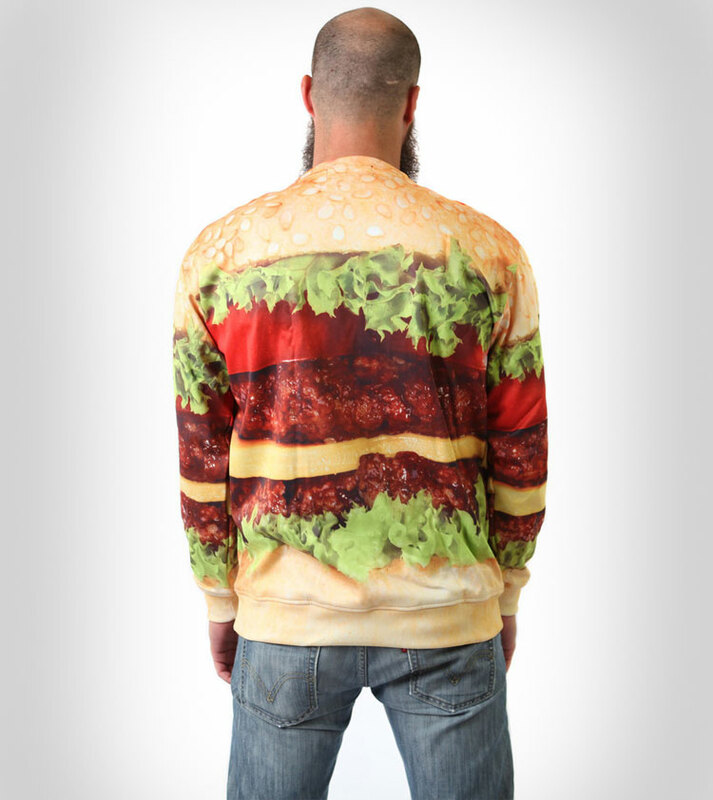 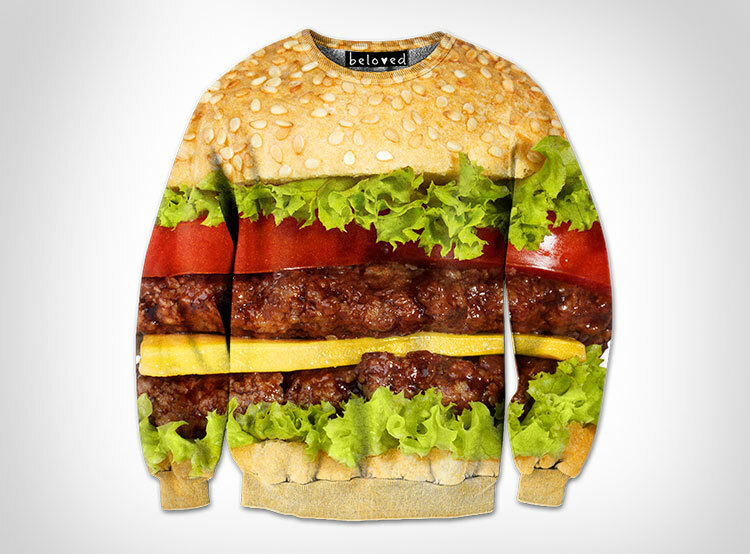 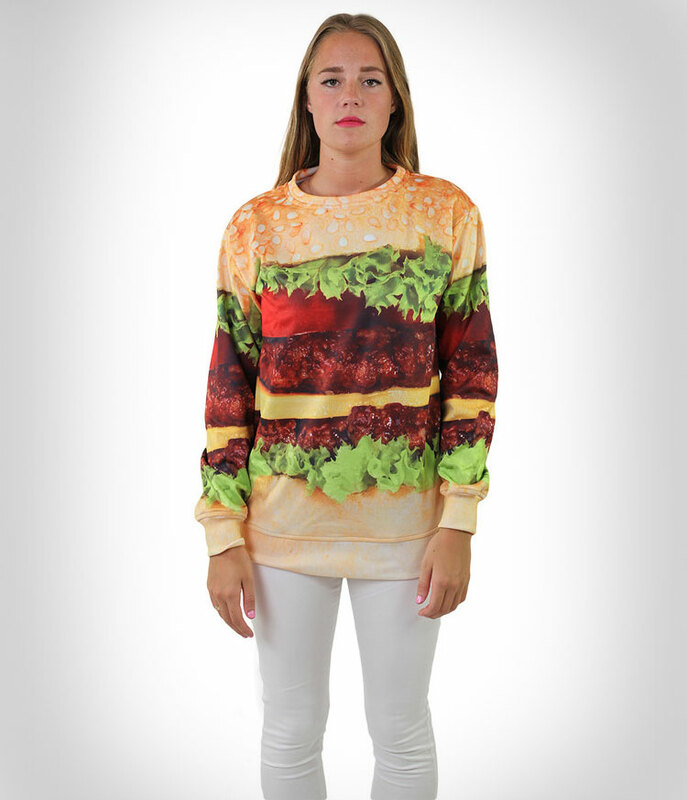 The cheeseburger sweatshirt is, as you can see, a sweatshirt with a giant graphic print of a greasy cheeseburger on it. 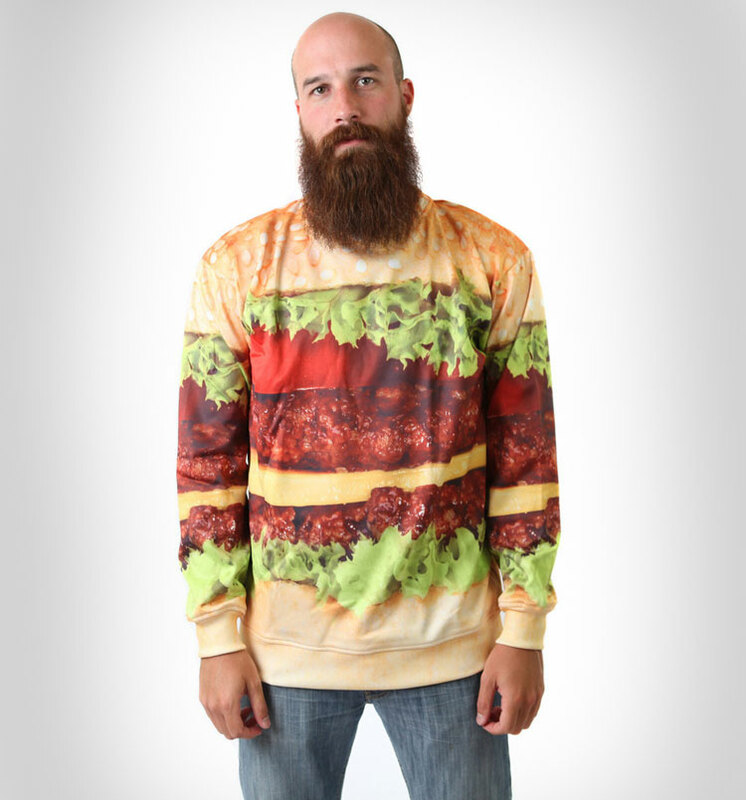 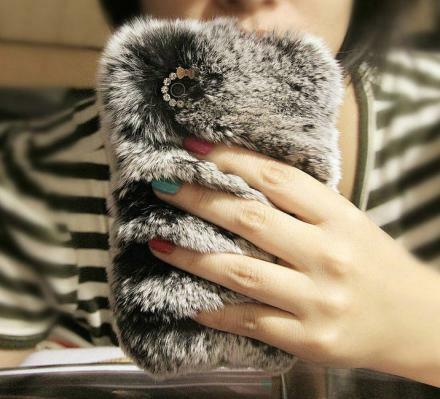 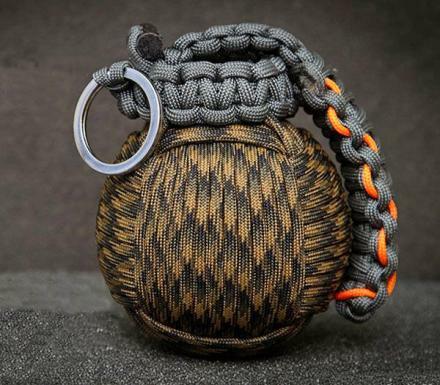 For some reason people are fascinated with cheeseburgers, as the amount of cheeseburger products on the market is astounding, such as the cheeseburger socks, cheeseburger wrapping paper, or the cheeseburger earmuffs. 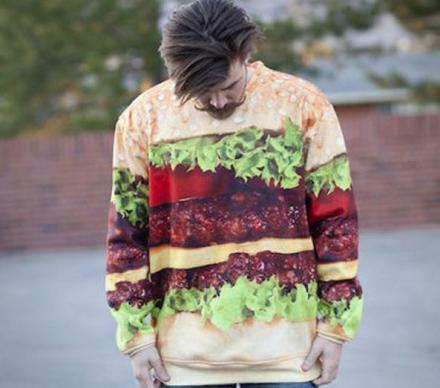 When Americans aren't stuffing cheeseburgers in their gullet they are surely wearing cheeseburgers in one way or another on their body. 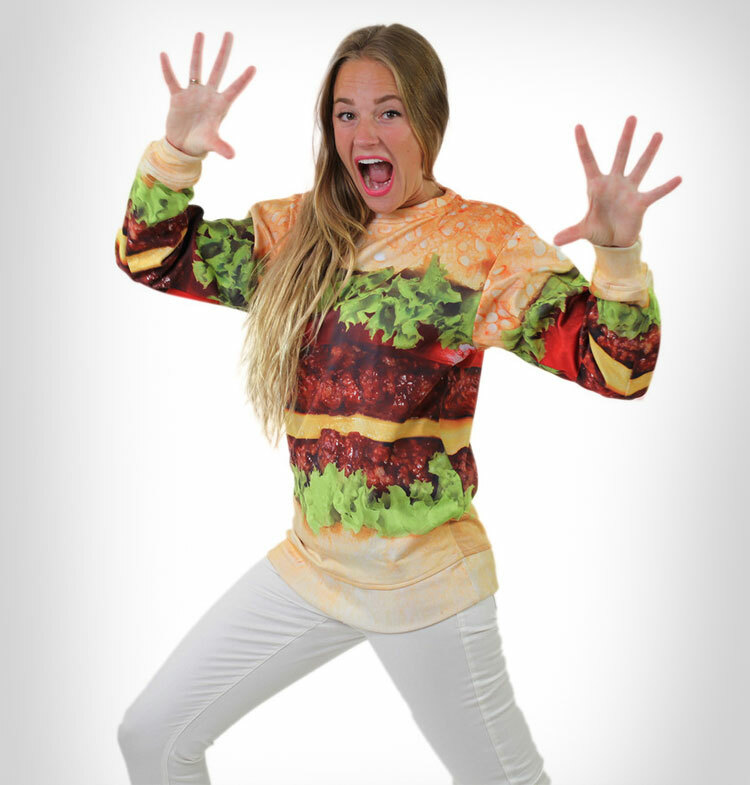 The cheeseburger sweatshirts are made from 100% polyester, and contain 100% cheeseburger print on the entire shirt (even the back). 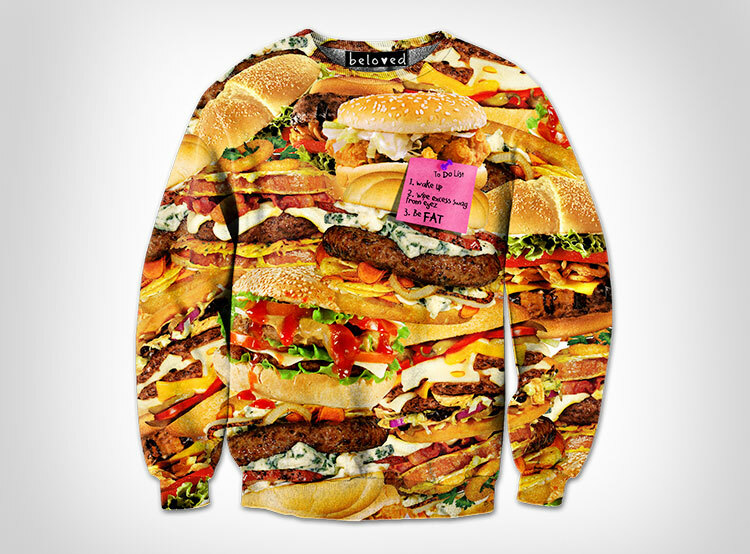 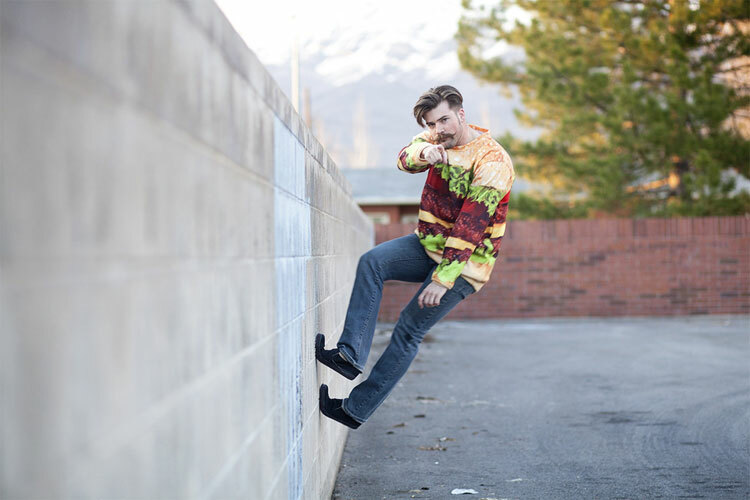 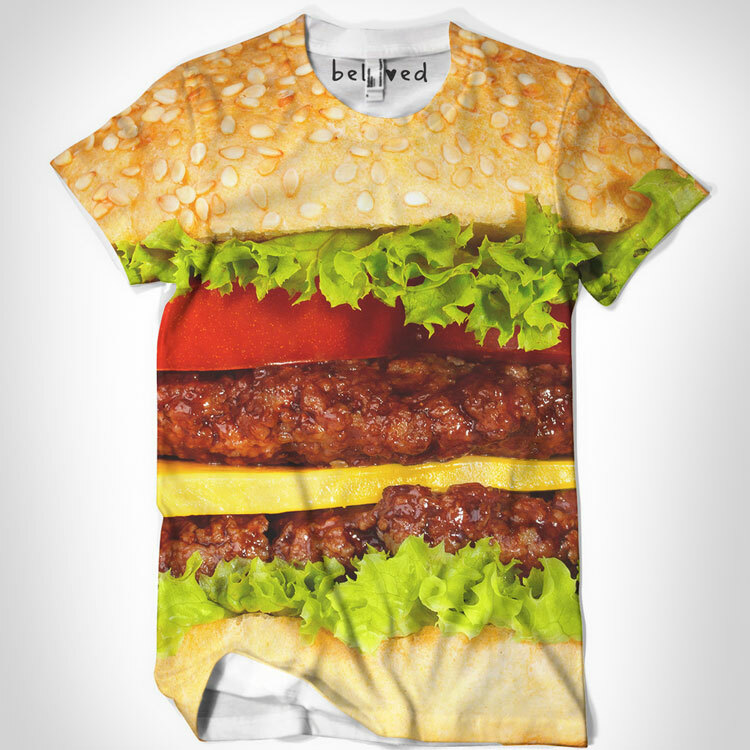 Be sure to also check out the Be Fat Burger Sweatshirt which contains dozens of different types of cheeseburgers, and if you're not into sweatshirts, check out the cheeseburger t-shirt.